The Psychology and Child Development Department welcomed two new faculty for the 2017-18 year: Jay Bettergarcia and Amber Williams. Jay Bettergarcia began as a lecturer in the Psychology and Child Development Department in fall 2016. She received her Ph.D. in Counseling, Clinical and School Psychology from University of California at Santa Barbara. She teaches PSY 372 Multicultural Psychology and PSY 405 Abnormal Psychology, and she leads the Queer Community Action, Research, Education, and Support (Q C.A.R.E.S.) research team. With this team, she utilizes community-based action research and mixed method designs to study LGBTQ mental health and wellness, including affirming approaches to mental health care for transgender and non-binary people. Bettergarcia also investigates evidence-based approaches to teaching and training about diversity, including the reactions (resistance and receptiveness) often encountered in diversity trainings and how to "roll with resistance." 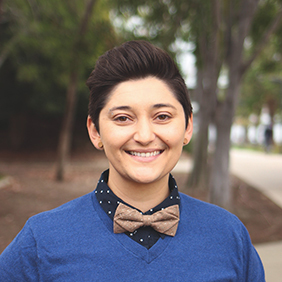 Her goal is to better understand the experiences of LGBTQ community members, especially those who are underserved, and to utilize data to create evidence-based strategies for teaching and training about sexual orientation and gender diversity. Amber Williams joined the Psychology and Child Development Department in fall 2017. She received her Ph.D. in Developmental Psychology from University of Michigan at Ann Arbor. She teaches PSY 372 Multicultural Psychology. 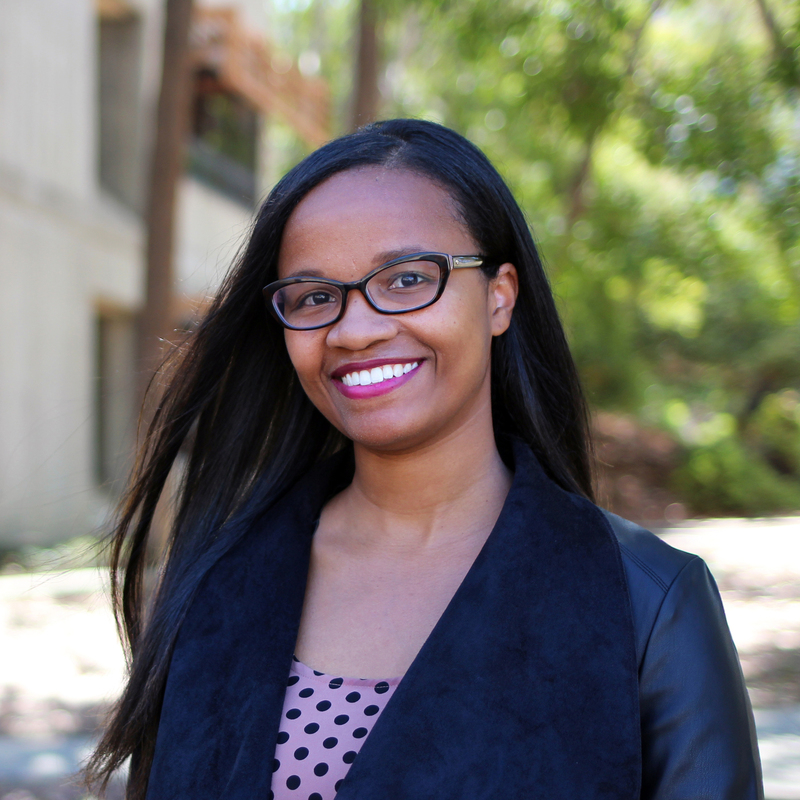 Her broad research interests focus on the role of race in shaping youths’ self-concepts, their relationships with in- and out-group members, and their academic outcomes. Within this domain, Williams has two lines of research. First, she studies the development of diverse children’s racial cognition, including racial essentialism, stereotyping and prejudice. She is also interested in how these racial attitudes relate to children’s behaviors, including their willingness to engage in cross-race friendships. Second, she explores the ways in which Black children’s and adolescents’ race-related experiences and beliefs directly and indirectly impact their academic outcomes. Williams is specifically interested in how Black youths’ attitudes about race (racial identity) and their parents’ socialization and involvement strategies influence Black youths’ academic success. What is your favorite thing about Cal Poly so far? JB: The people! I've loved getting to know my colleagues and students. There is so much great energy, passion and brilliance! I've really enjoyed getting to know such great people who are doing such amazing and wonderful things. AW: Very difficult to pick just one thing, but I think the support and kindness of my faculty colleagues have been overwhelming. I feel very lucky to have colleagues who have become such quick friends and who have been willing to answer my many questions during my time here. JB: I love teaching multicultural psychology. It can be challenging to talk openly about race, ethnicity, gender, sexual orientation, privilege, oppression and social justice, but it's exactly what we need to be doing if we hope to create change in these areas. I love seeing students relate to the material, talk to each other openly about these issues, and to struggle with them as well. It's a powerful class, and I like being able to facilitate conversations about how the theories are related to current issues and people's lived experiences. AW: I've only taught multicultural psychology so far, but it's been an absolute joy to teach. I am very passionate about issues of social justice and conduct research on issues of race and culture, so it's really been a perfect course for me to teach. Watching my students grow in their knowledge and interest throughout the quarter has been wonderful. I also love learning from their experiences and experimenting with the class in terms of bringing in activities and encouraging conversations that allow for application to real world issues. What do you think will change in the field of Psychology in the next five or ten years? JB: My hope is that the field will be at the forefront of social justice action and change. We've come so far as a field, but so much is still needed. AW: I don't know what will change but my hope is that we (1) increase the focus on quality research (specifically: interesting, relevant, and theoretically sound research questions) as opposed to quantity/sheer number of publications, (2) increase the diversity not only among our study samples, but also among the scientists who conduct the research. Are there any scholars or individuals that have inspired you? JB: My parents and grandparents inspire me. My grandparents came to this county as immigrants, struggled through so much, and consistently encourage me to grow, learn and push past barriers. As a first-generation college student, they supported my dreams to pursue higher education, even when they weren't sure exactly how to help me. Without my family, I wouldn't be where I am today. A scholar who has inspired me is my past advisor, Tania Israel. Her warmth, genuine enthusiasm, and belief in my ability to succeed got me through graduate school. Her commitment to social justice issues is inspiring! She taught me how to use research as a tool for community building, policy change, and activism. AW: I've been incredibly lucky to have amazing mentors in Stephanie Rowley, Robert Sellers, Susan Gelman, Mikki Hebl and Rebecca Bigler; they are all well-established and respected in the field of psychology and took the time to mentor me in ways big and small. I owe my entire career to their support, mentorship, and willingness to push me beyond my comfort zone. Others who currently inspire me – in various ways – include Michelle Obama, Issa Rae, Ida B. Wells, Ryan Coogler, Alicia Garza, Joy Ann Reid, Ava Duvernay, Rachel Held Evans, Viola Davis and my parents. I'm sure I'm missing some people, but those individuals come to mind. Besides work, what are your passions? JB: I love being with close friends and family, having dinner parties, hiking, the ocean, live music, wine tasting and raising a kiddo! When I have time, I also love to read. AW: I love cooking and baking, listening to political/crime and punishment podcasts (current favorites: Ear Hustle, Criminal, and Pod Save America), swimming (and the ocean generally). AW: Hmm, if it was just for a week I'd probably be a singer. When I was a kid, I wanted to sing and act, so I think it'd be fun to experience that life for a week since it's so different from life now... I think my style would be most similar to some combination of Imogen Heap, SZA and Amel Larrieux. What’s the "best" advice you didn’t take — or wish you had taken? You do not bring the ocean to a river. JB: Wow - What hard questions! Maybe... "Always Becoming, Never Arriving"